The use of high dose rate (HDR) remote afterloading brachytherapy units are rapidly increasing in many countries around the world. Verifying the strength of HDR 192 Ir brachytherapy sources on receipt from the vendor is an important component of institutional quality assurance program. , The recommended quantity to specify the strength of gamma-emitting brachytherapy sources is either reference air-kerma rate (RAKR) or air-kerma strength (AKS). RAKR is the AKR to air, in air, at a reference distance of 1 m, corrected for attenuation and scattering; and refers to the quantity determined along the transverse bisector of the source. AKS is the AKR in air at a given distance corrected for attenuation and scattering and that is multiplied by the square of the given distance. ,,,,, Calibration of the 192 Ir sources used in HDR remote afterloading brachytherapy units is carried out either by using a thimble ionization chamber (in-air jig method) or by using a well-type ionization chamber. A Farmer-type cylindrical ionization chamber of nominal sensitive volume of 0.6 cm 3 is frequently used for in-air calibration of HDR 192 Ir brachytherapy sources in addition to a suitable well-type ionization chamber. ,, The European Society for Therapeutic Radiology and Oncology (ESTRO) also recommends the use of thimble ionization chamber for calibration of HDR 192 Ir brachytherapy sources at hospitals. Although well-type ionization chambers are preferred over cylindrical chambers for calibration of HDR 192 Ir brachytherapy sources due to ease in its use and reproducibility of source positioning, the Farmer-type cylindrical ionization chamber is also used for RAKR or AKS measurement of HDR 192 Ir brachytherapy sources. ,,, This is due to the fact that cylindrical ionization chambers are readily available in the hospitals and in case of nonavailability of a well-type ionization chamber, the use of cylindrical ionization chamber is an obvious choice. It has also been demonstrated by Stump et al.,  that the RAKR measured by Farmer type and well-type ionization chambers for different HDR sources are comparable within 0.5%. A 370 GBq (10 Ci) 192 Ir source provides an ionization current of only about 1 × 10−11 A in a 1.0 cm 3 ionization chamber at a distance of 20 cm. It is true that very near to a brachytherapy source, the radiation intensity changes very rapidly due to inverse-square law. A 0.1 cm error in a 10 cm distance causes a 2% error in calibration. Small errors in positioning the chamber can translate into large errors in the estimation of source strength. Increasing the separation between centers of the chamber and the source will improve the measurement accuracy. However, this will result in proportionate reduction in the current, leading to larger percentage contributions by leakage current and gamma-ray scattering from the room surroundings and poor reproducibility. Getting closer of course worsens the distance error and requires a large geometric correction ,, for the size and shape of the ionization chamber. The 7 distance method is recommended as a standard method to maximize the accuracy in measurement of the strength of HDR brachytherapy sources by using cylindrical ionization chamber. ,,,, While using the cylindrical chamber method, it is required to determine the positioning error of the ionization chamber with respect to the source, which is commonly called as the distance error. Earlier, we have developed the analytical methods to estimate the distance error required to determine the source strength using 7 distance method by cylindrical ionization chamber. , As further research in this work, an attempt has been made to apply the fuzzy set theory to estimate the subjective uncertainty associated with the distance error, which is the subject matter of this paper. Fuzzy set theory has been applied for risk analysis  and image analysis  in the domain of medical dosimetry. In view of these applications, we have proposed an approach of applying this fuzzy set theory in the quantification of uncertainty associated with the distance error required for the measurement of strength of HDR 192 Ir brachytherapy sources. While using, Farmer-type cylindrical ionization chamber to measure the strength of a brachytherapy source, distance has to be measured accurately. Since the distance measured possesses some error during the measurement and the input components are imprecise, fuzzy set theory is an appropriate tool to quantify the uncertainty due to such ambiguity present in input component. The fuzzy set theory is strictly applicable where there is insufficient information in the measured data. To determine experimentally, the RAKR of an HDR 192 Ir brachytherapy source using a Farmer-type cylindrical ionization chamber, a multiple distance measurement technique was used. This measurement has historically been made at seven separate distances. Thus the technique has been termed the '7 distance' measurement (7DM). While using cylindrical ionization chamber (0.6 cm 3 ) for measurement of the strength of HDR 192 Ir brachytherapy sources, it is necessary to estimate three items, viz. (i) The positioning error of the ionization chamber with respect to the source which is commonly called 'distance error (±)', (ii) the contribution of scatter radiation (M s ) from the floor, walls ceiling, and other material in the treatment room, and (iii) a proportionality constant. The 7DM was suggested to determine these parameters and thereafter the strength of HDR 192 Ir brachytherapy sources. ,,, Although Kumar et al., , has described in detail the procedure for measuring the RAKR of HDR 192 Ir brachytherapy sources, a brief review of the method is given below for the sake of completeness in description. Zadeh , introduced the fuzzy set as a class of object with a continuum of grades of membership. In contrast to classical crisp sets where a set is defined by either membership or non-membership, the fuzzy approach relates to a grade of membership between [0,1], defined in terms of the membership function of a fuzzy number. Hence, the classical notion of binary membership has been modified for the representation of uncertainty in data. The details about fuzzy set may be found elsewhere,  however, for the sake of completeness, a brief description of the definition of a fuzzy set and its fundamental properties pertaining to the topic of the present work is described here. This is a paradigm shift in which the crisp variable is fuzzified through a membership function or a linguistic variable depending upon the specific problem. Strictly speaking, alpha-cut theory of the fuzzy set  is adopted to compute the uncertainty associated with the distance. Basically, alpha-cut is an interval and in practice, interval arithmetic operation  is carried out for obtaining the membership value of the output of a model containing the fuzzy input. 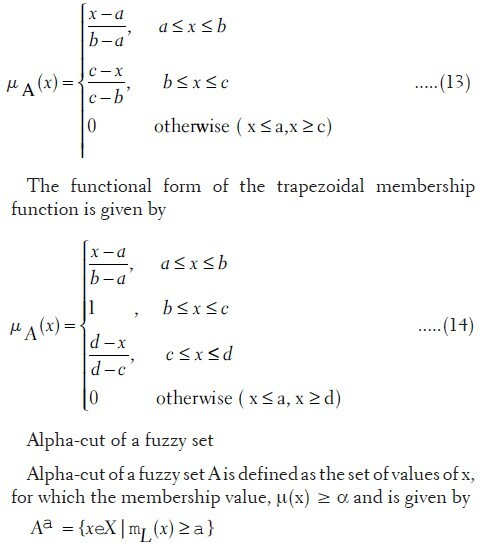 The present paper, applies the alpha-cut value of the fuzzy set. The parameters, f, M di, M 0 , and M s are taken into account as triangular fuzzy number. Alpha-cut representation ranged from 0 to 1 with an increment of 0.1 of these parameters was applied in Equation 3. In order to derive the membership value of the relative distance, l i using the alpha-cut representation of fuzzy parameters as mentioned above, we used the interval arithmetic operations and the algorithm for computation. The details of this computation are given in the Appendix. A fuzzy set having triangular membership function is always characterized by its support and height. If height of a fuzzy set is 1 and if that fuzzy set is bounded by two extremes, then it is called a triangular fuzzy number. Support of such a triangular fuzzy number is defined as the range of the extremes at alpha-cut = 0 as shown in [Figure 1]c. From [Figure 1]c, we can write the support of a fuzzy set as S = (R−P), where, R and P are the two extreme bounds. In order to express the uncertainty in the framework of fuzzy sets, we define uncertainty index  as the ratio of the support to the most likely value (crisp value at membership equal to 1). Again, from [Figure 1]c, uncertainty index of the given fuzzy set is written as U = (S/Q), where, Q is the most likely value. The uncertainty index for each relative distance measured experimentally was estimated. We have estimated the uncertainty of the relative distance, l i [= (d i -d 0 )] for experimentally measured distances such as 5, 10, 15, 20, 25, and 30 cm and the corresponding membership functions are shown in [Figure 2]a-f. It can be interpreted from [Figure 2]a-f that the membership function μ (l i) of the distance (l i ) for each measurement distance is turned out to be a triangular in shape because the initial consideration of the subjective-based uncertain parameters are taken into consideration as "around the measured value". On the contrary, had this consideration been within the phrase of "approximately lying between two different distances", we would have obtained the shape of the membership function of the output as trapezoidal. Since the measurement uncertainty is always quoted at one sigma level, fuzzy set theory-based approach of uncertainty quantification is also quoted at an equivalent level, and here this is 0.5 alpha-cut value of the fuzzy set. That is why, in this work, 0.5 alpha-cut of the output fuzzy set is considered to express the subjective uncertainty. Results of alpha-cut = 0.5 of the fuzzy distance (l i ) along with experimental and analytical values of (l i) are given in [Table 1] and it can be seen that analytical value as well as the experimentally measured relative distance lie within the bounds of the subjective uncertainty of the l i. 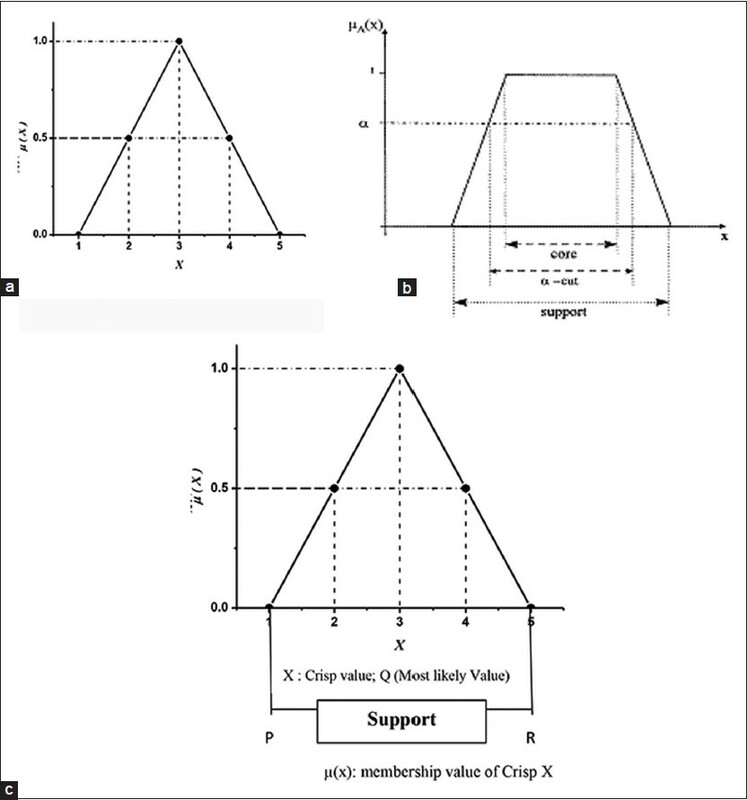 Support of each triangular membership values corresponding to each experimental distance and the associated uncertainty index are further shown in [Table 2]. It can be seen from [Table 2] that the uncertainty indices remain same for all the experimentally-measured distances indicating that each and every triangular fuzzy membership function is normalized and convex. Maximum value of the uncertainty index is found to be within 2.5%, which further indicates that the possibility of error in measuring such distance may be of this order. It is worth mentioning here that in absence of a quantified value of uncertainty associated with distance measurement, the overall uncertainty in source strength measurement has been estimated earlier by ignoring the uncertainty associated with distance error. This work reveals that the uncertainty associated with distance error should not be ignored while preparing the uncertainty budget in the determination of HDR source strength. Uncertainty of the positioning error, the so called "distance error", of the ionization chamber with respect to the source was evaluated. Fuzzy set theory was applied for this evaluation due to the subjectivity involved in the experimental facility. Uncertainty in the possible input parameters was addressed as triangular fuzzy number. Propagation of uncertainty of the input parameters is carried out on the basis of the model described in this work (see subsection: Algorithm to compute alpha-cut distance representation of distance) via the alpha-cut of a fuzzy set. The crisp values of l i estimated using analytical method lie within the bounds computed using fuzzy set theory. This indicates that l i values estimated using analytical methods are within 2.5% uncertainty. This value of uncertainty in distance measurement should be incorporated in the uncertainty budget, while estimating the expanded uncertainty in HDR 192 Ir source strength measurement. The authors wish to express their gratitude to Shri HS Kushwaha, Distinguished Scientist and EX. Director of Health, Safety and Environment Group, BARC for his valuable suggestions and technical discussions during preparation of this manuscript. 1. Nath R, Anderson LL, Meli JA, Olch AJ, Stitt JA, Williamson JF. Code of practice for brachytherapy physics: Report of the AAPM Radiation Therapy Committee Task Group No. 56. American Association of Physicists in Medicine. Med Phys 1997;24:1557-98. 2. Kubo HD, Glasgow GP, Pethel TD, Thomadsen BR, Williamson JF. High dose-rate brachytherapy treatment delivery: Report of the AAPM Radiation Therapy Committee Task Group No. 59. Med Phys 1998;25:375-403. 3. International Commission on Radiation Unit and Measurements. Dose and volume specification for reporting interstitial therapy, Report No. 58. ICRU, Bethesda, USA; 1997. 4. International Commission on Radiation Unit and Measurements. Dose and volume specification for reporting intracavitary therapy in gynecology, Report No. 38. Washington, DC; 1985. 5. Specification of brachytherapy sources. Memorandum from the British Committee on Radiation Units and Measurements. Br J Radiol 1984;57:941-2. 6. International Commission on Radiation Unit and Measurements. Radiation quantities and units, Report No. 33. ICRU, Washington DC; 1980. 7. Marechal MH, de Almeida CE, Ferreira IH, Sibata CH. Experimental derivation of wall correction factors for ionization chambers used in high dose rate 192Ir source calibration. 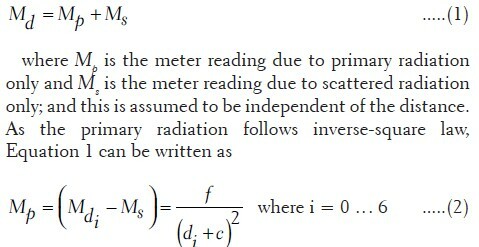 Med Phys 2002;29:1-5. 8. International Atomic Energy Agency. Calibration of photon and beta ray sources used in Brachytherapy, TECDOC 1274. IAEA, Vienna; 2002. 9. International Atomic Energy Agency. Calibration of brachytherapy sources: Guidelines of standardized procedures for the calibration of brachytherapy sources at secondary standard dosimetry laboratories and hospitals, TECDOC 1079. IAEA, Vienna; 1999. 10. European Society for Therapeutic Radiology and Oncology. A practical guide to quality control of brachytherapy equipment, ESTRO booklet no. 8; 2004. 11. Douysset G, Gouriou J, Delaunay F, DeWerd L, Stump K, Micka J, et al. Laboratoire National Henri Becquerel, University of Wisconsin Accredited Dosimetry Calibration Laboratory. Comparison of dosimetric standards of USA and France for HDR brachytherapy. Phys Med Biol 2005;50:1961-78. 12. Patel NP, Majumdar B, Vijayan V. Study of scattered radiation for in-air calibration by a multiple-distance method using ionization chambers and an HDR 192Ir brachytherapy source. Br J Radiol 2006;79:347-52. 13. Douysset G, Sander T, Gouriou J, Nutbrown R. Comparison of air-kerma standards of LNE-LNHB and NPL for 192Ir HDR brachytherapy sources: EUROMET project no 814. Phys Med Biol 2008;53:N85-97. 14. Soares CG, Douysset G, Mitch MG. Primary standards and dosimetry protocols for brachytherapy sources. Metrologia 2009;46:S80-98. 15. Stump KE, Dewerd LA, Micka JA, Anderson DR. Calibration of new high dose rate 192Ir sources. Med Phys 2002;29:1483-8. 16. Goetsch SJ, Attix FH, Pearson DW, Thomadsen BR. Calibration of 192Ir high-dose-rate afterloading system. Med Phys 1991;18:462-7. 17. Goetsch SJ, Attix FH, Dewerd LA, Thomadsen BR. A new re-entrant ionization chamber for the calibration of iridium-192 high dose rate sources. Int J Radiat Oncol Bio Phys 1992;24:167-70. 18. Bielajew AF. Correction factors for thick-walled ionization chambers in point-source photon beams. Phys Med Biol 1990;35:501-16. 19. Bielajew AF. An analytical theory of the point-source non-uniformity correction factor for thick-walled ionization chambers in photon beams. Phys Med Biol 1990;35:517-38. 20. Kondo VS, Randolph ML. Effect of finite size of ionization chambers on measurement of small photon sources. Radiat Res 1960;13:37-60. 21. Kumar S, Srinivasan P, Sharma SD, Mayya YS. A simplified analytical approach to estimate the parameters required for strength determination of HDR 192Ir brachytherapy sources using Farmer-type ionization chamber. Appl Radiat Isot 2012;70:282-9. 22. Kumar S, Srinivasan P, Sharma SD, Subbaiah KV, Mayya YS. 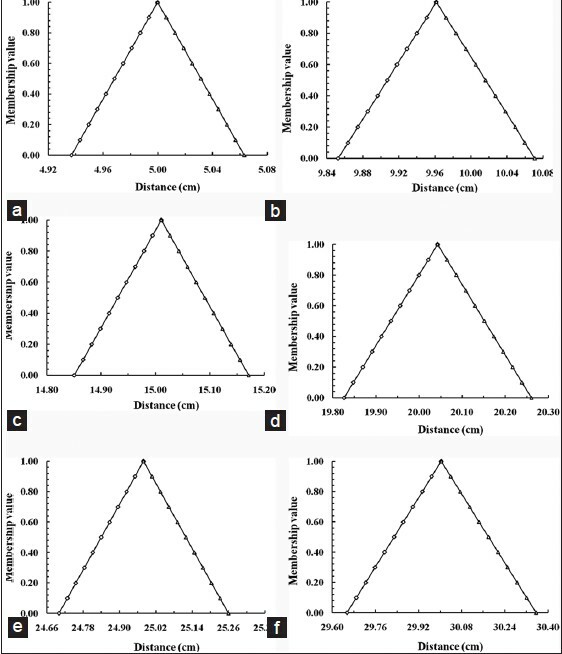 Evaluation of scatter contribution and distance error by Iterative methods for strength determination of HDR 192Ir brachytherapy source. Med Dosim 2010;35:230-7. 23. Castiglia F, Giardina M, Tomarchio E. Risk analysis using fuzzy set theory of the accidental exposure of medical staff during brachytherapy procedures. J Radiol Prot 2010;30:49-62. 24. Park SB, Monroe JI, Yao M, Machtay M, Sohn JW. Composite radiation dose representation using fuzzy set theory. Inf Sci 2012;187:204-2015. 25. Ross TJ. Fuzzy logic with engineering applications. McGraw-Hill Inc.; 1997. 26. Williamson JF, Li Z. Monte Carlo aided dosimetry of the microselectron pulsed and high dose-rate 192Ir sources. Med Phys 1995;22:809-19. 27. Pena J, Sanchez-Doblado JF, Capote R, Terron JA, Gomez F. Monte Carlo correction factors for a Farmer 0.6 cm 3 ion chamber dose measurement in the build-up region of the 6 MV clinical beam. Phys Med Biol 2006;51:1523-32. 28. Williamson JF, Nath R. Clinical implementation of AAPM Task Group 32 recommendations on brachytherapy source strength specification. Med Phys 1991;18:439-48. 29. Dubois D, Prade H. editors. Fuzzy sets and systems: Theory and applications. New York: Academic Press; 1980. 30. Klir GJ, Yuan B. Fuzzy sets and fuzzy logic: Theory and applications, prentice-hall, upper saddle river. New Jersey; 1994.